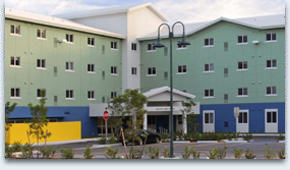 palmetto gardens, a three-story mid-rise miami public housing apartment, offers low income one bedroom units.given the demand for low income housing, there may be a waiting list. if this listing is incorrect, please contact us using the form below. senior low income apartments. 84 apartments at location. Owned by catholic health services. Hud family apartments. 1, 2, 3 bedroom apartments.